Our Public Speaking course equips learners with confidence in speaking as well as the intricacies of employing the spoken English language. With a range of activities such as drama, role play, tongue twisters and speaking games, students are guided in the art of public speaking step-by-step. The goal of the course is to help learners develop the ability to give a structured performance both in the form of impromptu and prepared speeches. 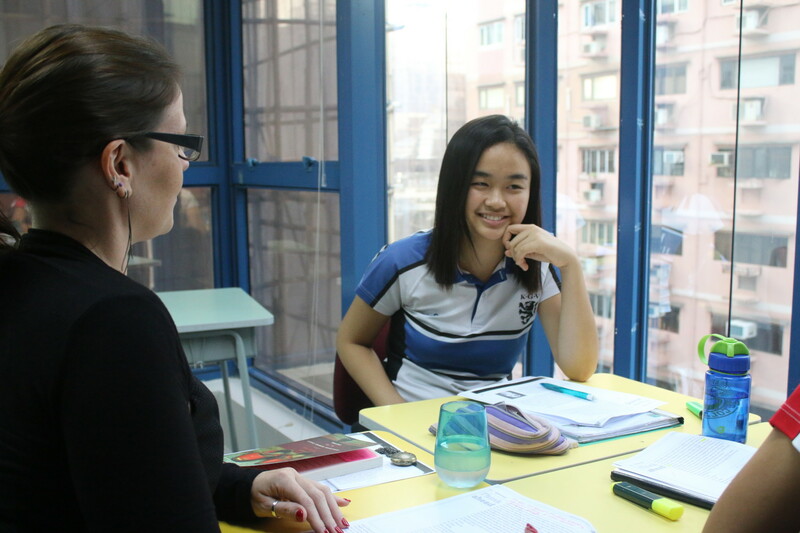 Speech-writing skills, which are important for future success in the HKDSE, are a focus of the course and a fantastic way for students to see the connection between the spoken and written word. Our theme-based Public Speaking course instills in learners a love of speaking English. At the primary level, students are encouraged to explore the community and the world around them through speaking games and role-plays. As students proceed through these levels, topics will broaden, from more individual themes like family and friends, to social issues and the world around them. Communicative skills such as volume, pace, stress, pronunciation and articulation will be emphasized, as well as the art of interacting with peers. Our secondary level Public Speaking Course consolidates the skills developed at the Primary Level, and builds on them through work on the delivery of prepared and impromptu speeches. When compared with our primary level course, there will be more structured speeches and a wider variety of speech types, such as informative, persuasive and motivational speeches. Creative and sophisticated language use will also be one of our targets, and this is embedded in our theme-based lessons focusing on social issues. By the end of the course, students are expected to have developed speech-writing skills and advanced communicative skills such as manipulation of volume, pace, stress, and movement.